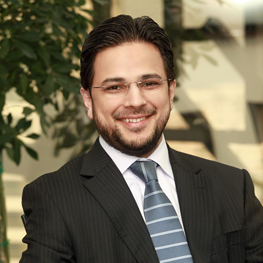 Ashar leads EYs Global Islamic Banking Center of Excellence. He has more than 20 years of experience in the Islamic finance industry; in the profession, the industry and in regulatory capacity with the Central Bank of Bahrain. He brings a unique track record of corporate finance, strategy consulting, regulatory and industry roles that gives him a holistic understanding of influences driving change for his clients. Ashar has advised a number of central banks on regulatory reforms, worked with multilateral institutions on industry infrastructure initiatives, led setting up of several greenfield Islamic windows and banks, advised on transformation of conventional banks to Islamic, and assisted financial institutions on transforming operational performance. He specializes in Performance Improvement with emphasis on strategy, digital transformation and customer experience. Ashar has been involved in a number of strategic initiatives across Europe, Middle East, Asia Pacific and Africa, advising board and senior management of clients on Islamic financial services matters. He is a regular speaker at influential industry forums, facilitates client strategy session, and has directed several thought leadership research on Islamic banking, takaful and wealth management business.